The right hand gutter of your web site is a very special place on your Majestri web site. It is extremely valuable real estate and one of the things that you want to put in front of your members every time they're on the site is the Club Calendar. Make sure it's kept up-to-date as people who are unsure about something will jump onto your site to see if it's there. Make sure the Calendar is always nice and fresh. The functionality of the Calendar has intentionally been kept pretty basic. Let's take a look at what you need to do. 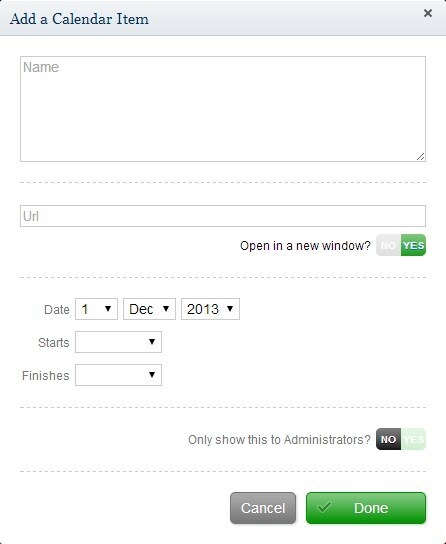 On the Web Site tab in the Control Room, locate the button indicated below. This really is as straight-forward as it looks. Plug in your dates and a URL if applicable. 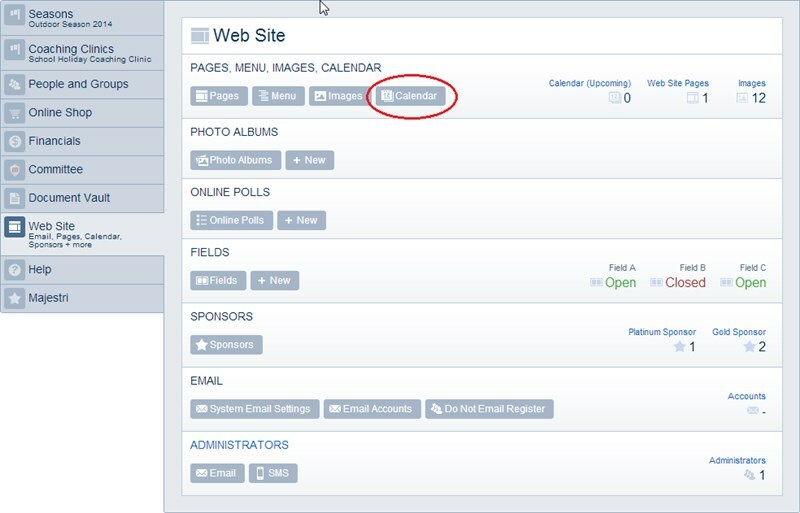 The Administrators switch at the bottom will determine whether it will appear in the public calendar on your web site or in the calendar of somebody logged in with Control Room access.